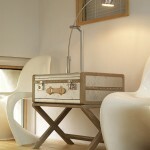 You will be surprised to find out how helpful suitcases, briefcases and backpacks can be in the interior. Fortunately, while we think of what to do with an old travel bag, designers constantly pushing the horizons of everyday world and regularly open new opportunities for old things. 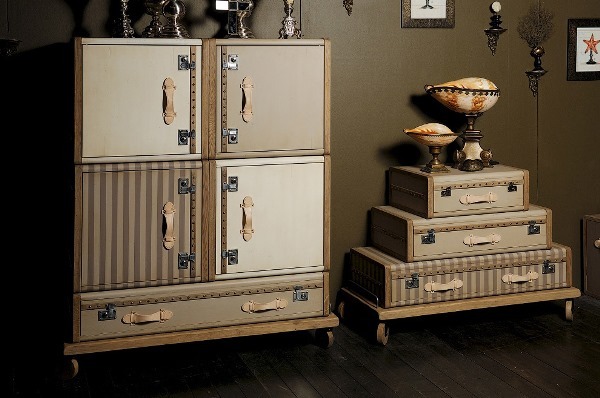 The most popular option of using old suitcases and briefcases is the creation incredibly stylish dressers, wardrobes and bedside tables. 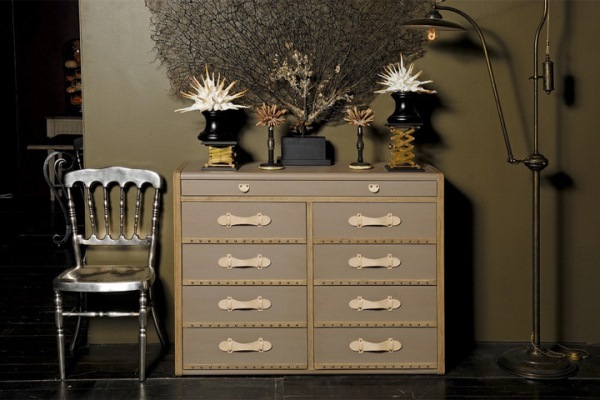 French designer and decorator Emmanuelle Legavre came up with a whole collection of exquisite vintage furniture made of elegant cases. 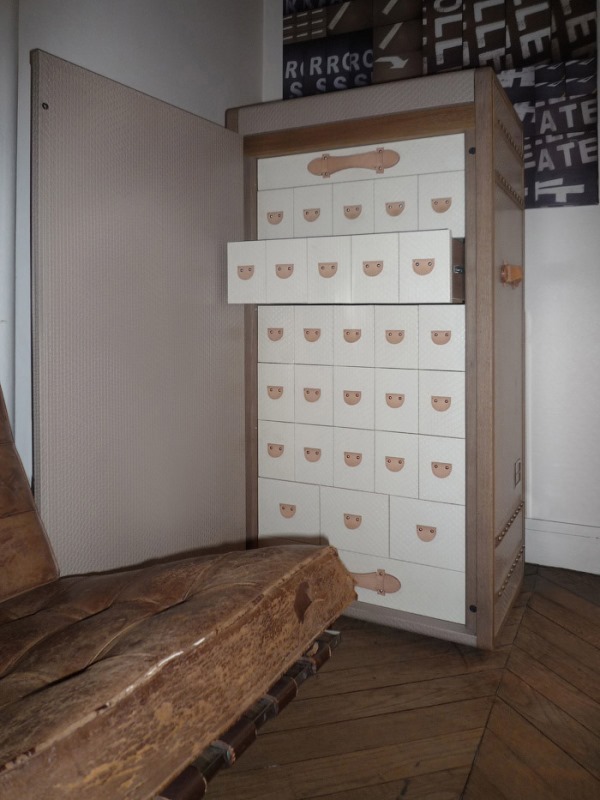 Vintage furniture collection called Les Valises (translated from French as “Suitcases») designed by Emmanuelle Legavre, is creative, functional, romantic and charming. 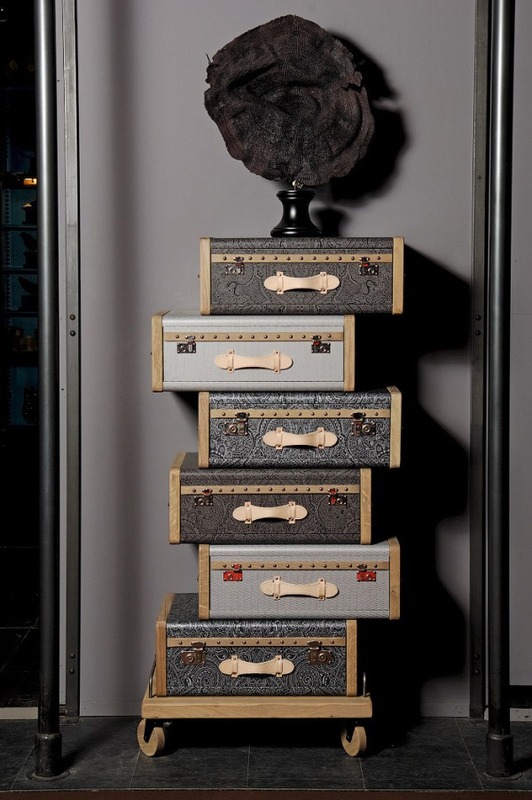 This fantastic collection of furniture in the form of bags helps to bring a sense of discovery and adventure in any interior. 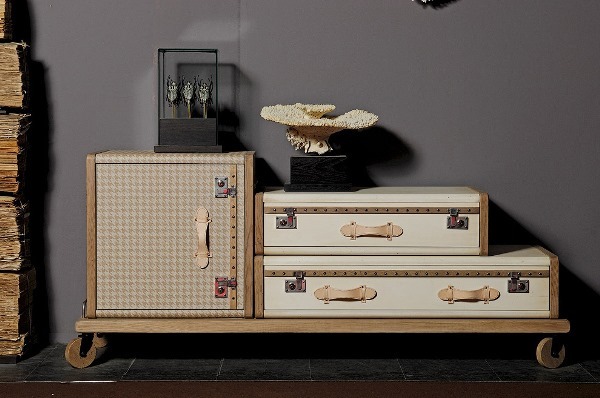 Inspired by the old days filled with travel around the world and adventures associated with them, the designer created a wonderful collection of furniture reminiscent of the travel, new experiences and new sensations. 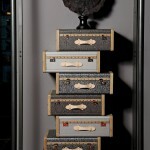 Every piece of furniture consists of eight parts and created using natural materials: leather and wood. 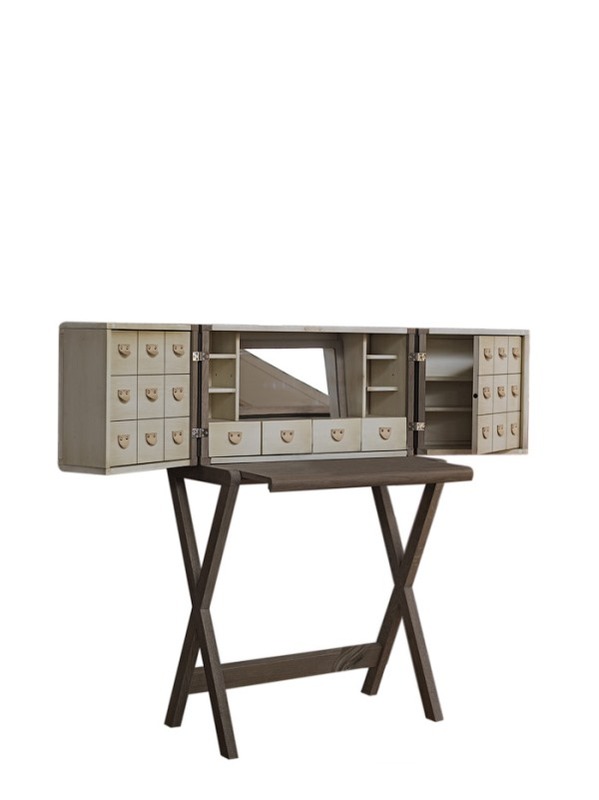 This furniture is the perfect solution as storage system and a great way to add elegance and charm to the interior of your home. A form of bags will help to remind that there are many amazing places in the world where you can go on a journey. 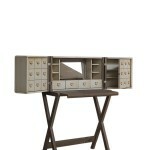 Function if the furniture from the Les Valises collection is a creative storage system. 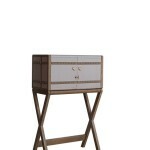 Thanks to retro style, these charismatic furnishings fit modern and classic interior. 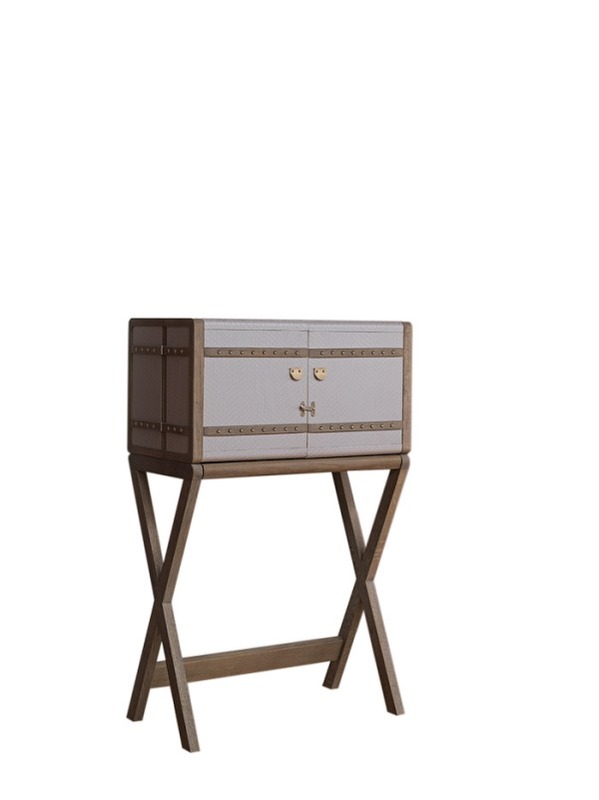 Pastel shades of textile patterns and stylized accessories create soft “powder” atmosphere in a bedroom, welcoming atmosphere in a hallway, complement luxurious living room or make an office more comfortable. 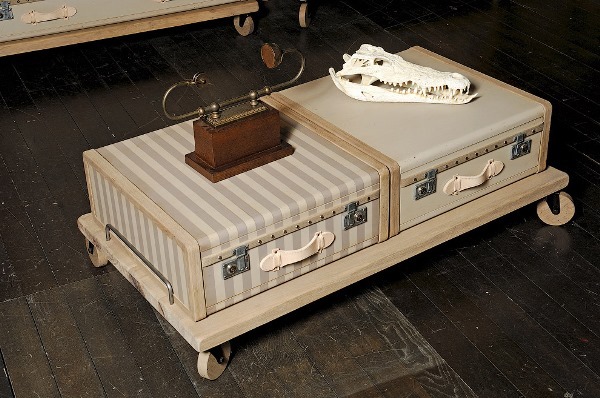 Suitcase furniture is not only the beauty and elegance, but also a reminder that many of us had a lot of traveling before. And that is never too late to break away from your homes, leave the rocking chair and hit the road. 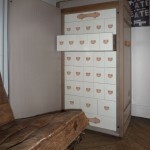 In any case, storing clothes and other things in these chests is a real pleasure. 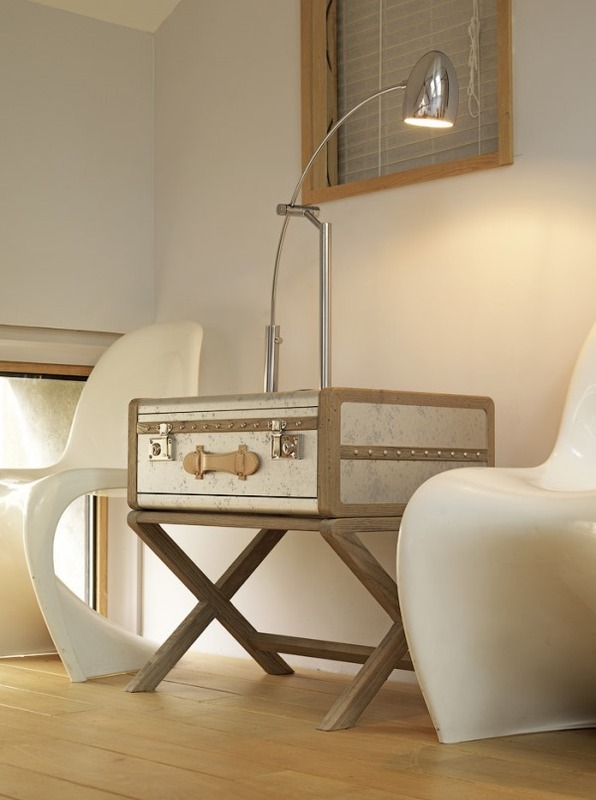 Suitcases are perfect for a bedroom in almost any style.